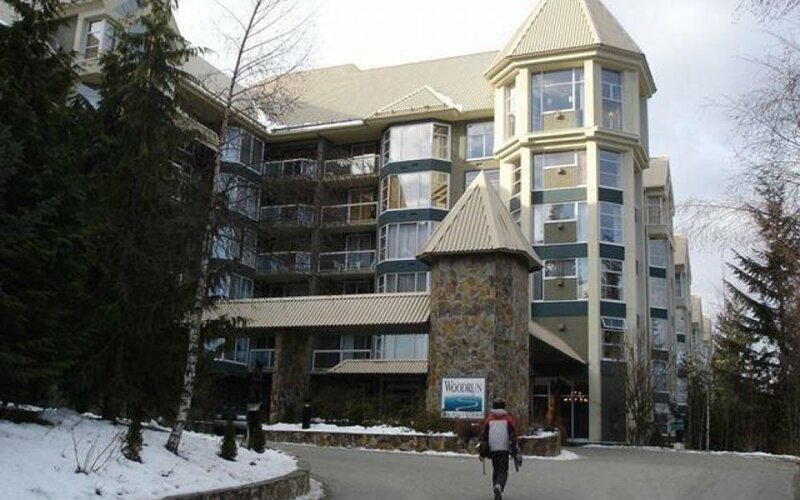 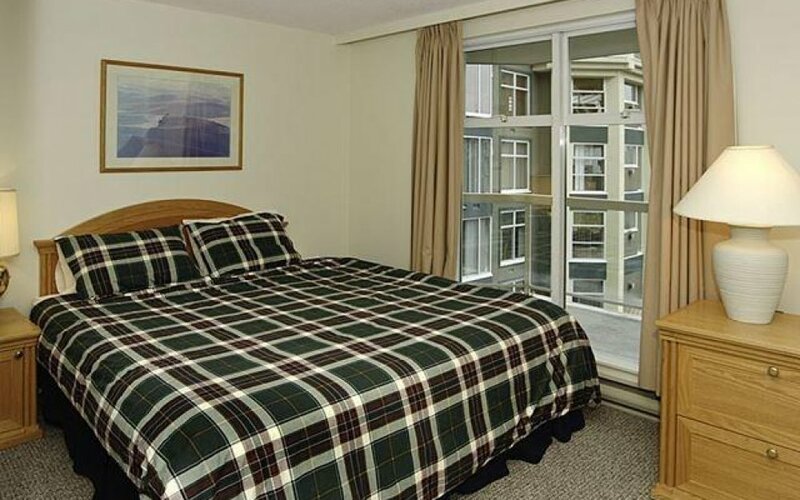 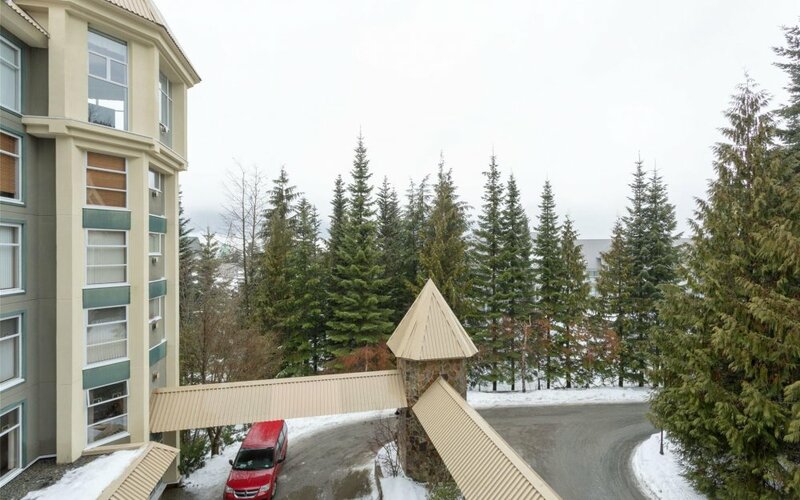 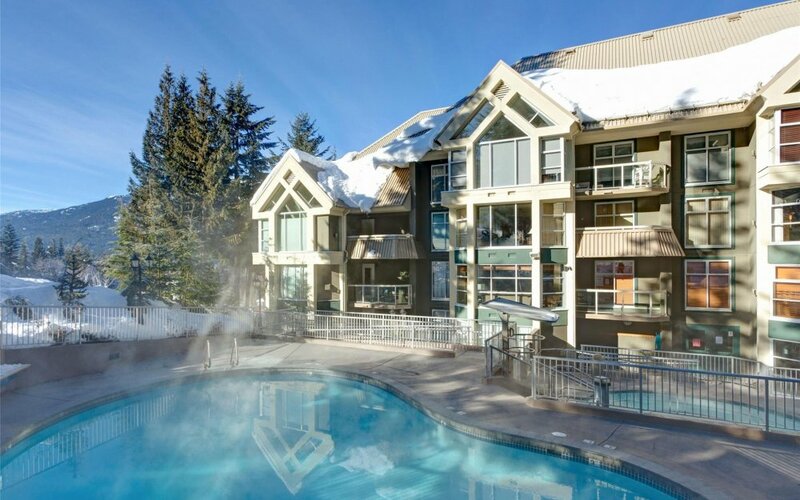 Woodrun Lodge is one of the premier slopeside ski-in ski-out accommodations on Blackcomb mountain, allowing the ultimate in accessibility to the slope, Blackcomb base, ski lifts and ski schools. 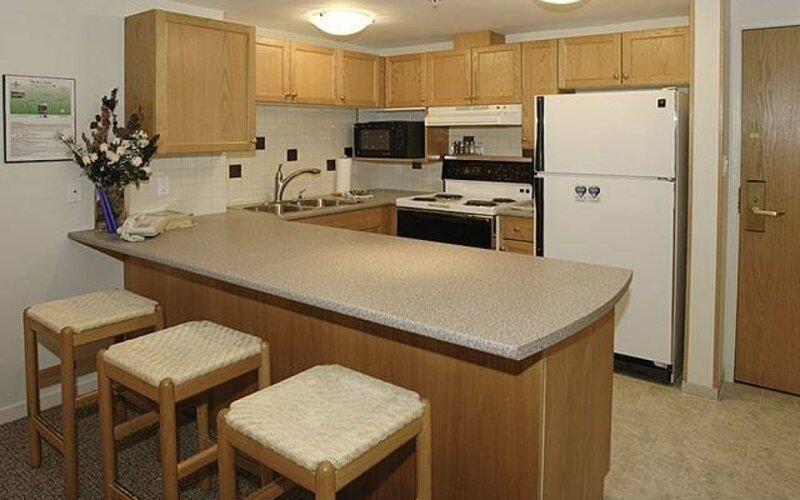 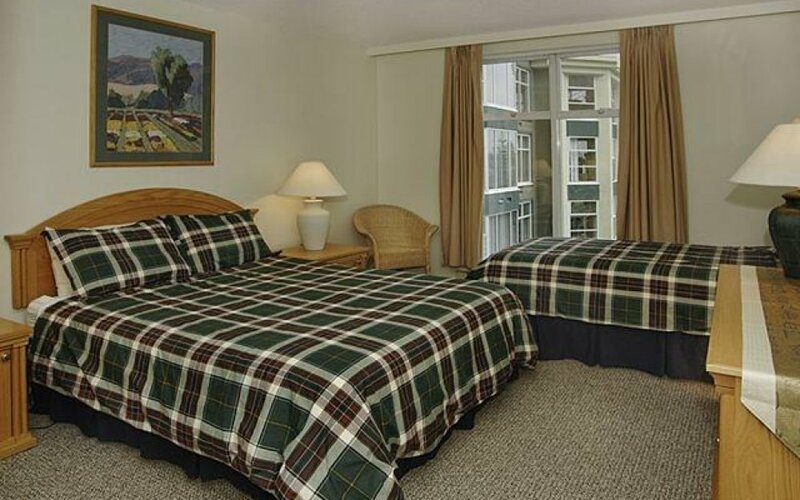 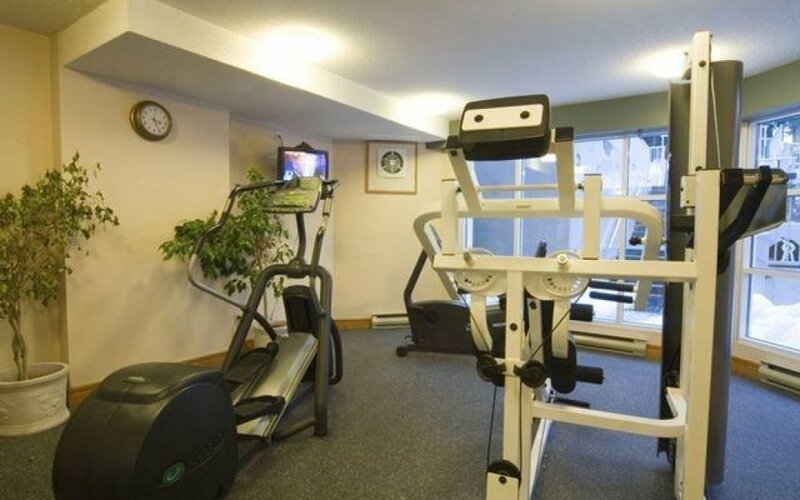 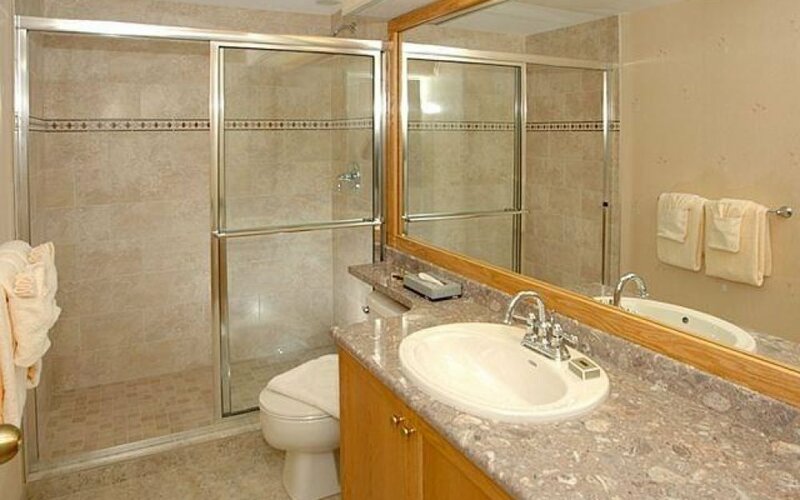 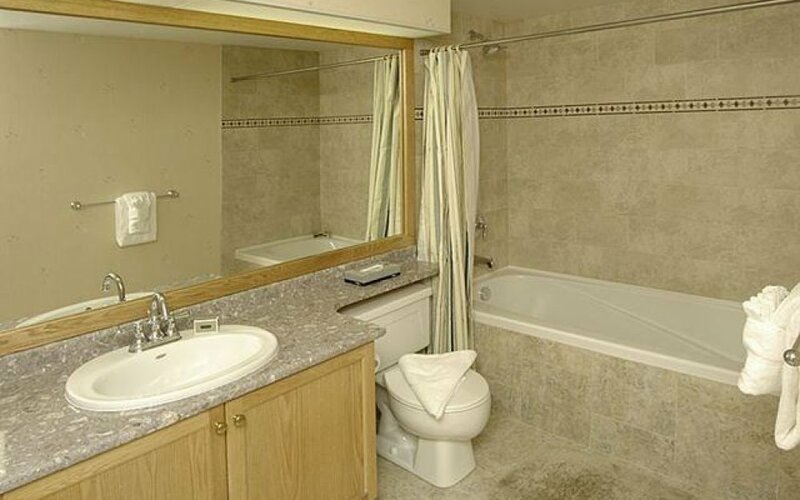 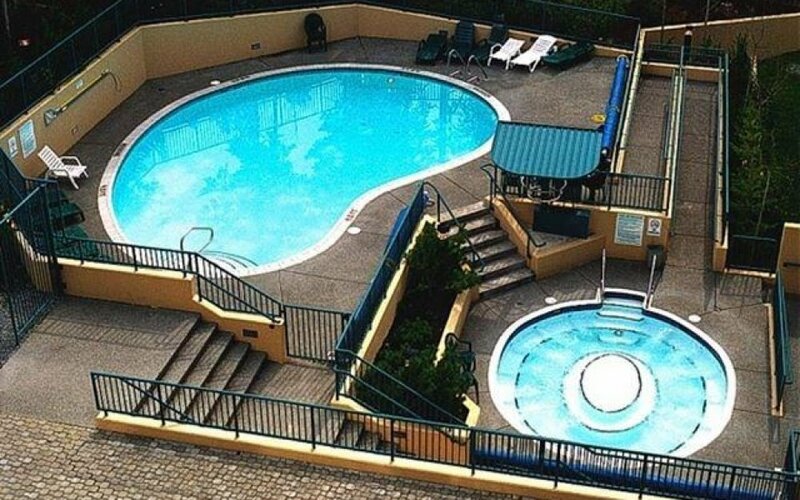 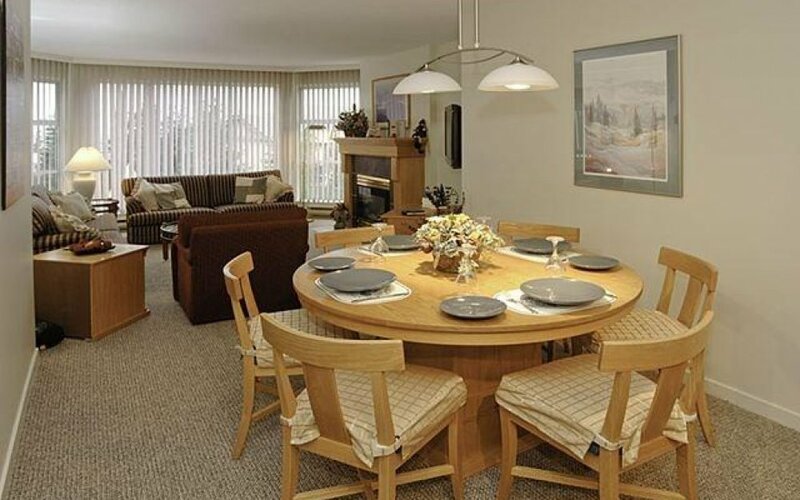 This 2-bedroom, 2 bathroom, 4th floor condo is located on the quiet side of the building. 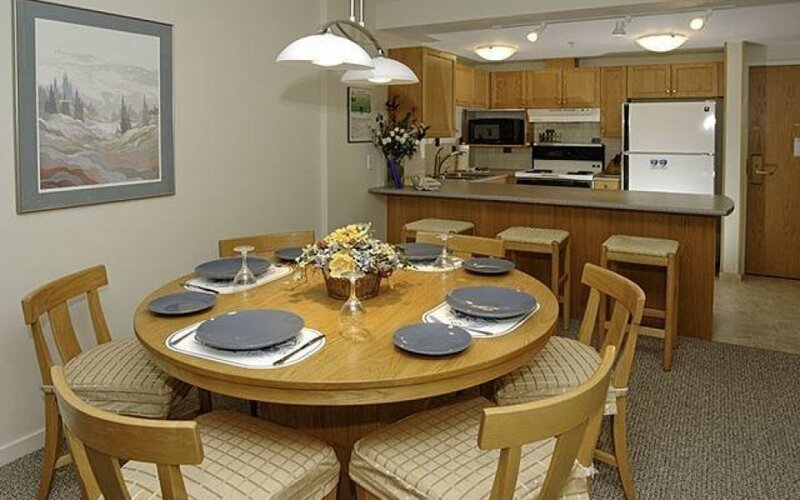 A spacious and well-appointed floor plan designed in an appealing, modern “West Coast” style, accommodating 2 to 6 people. 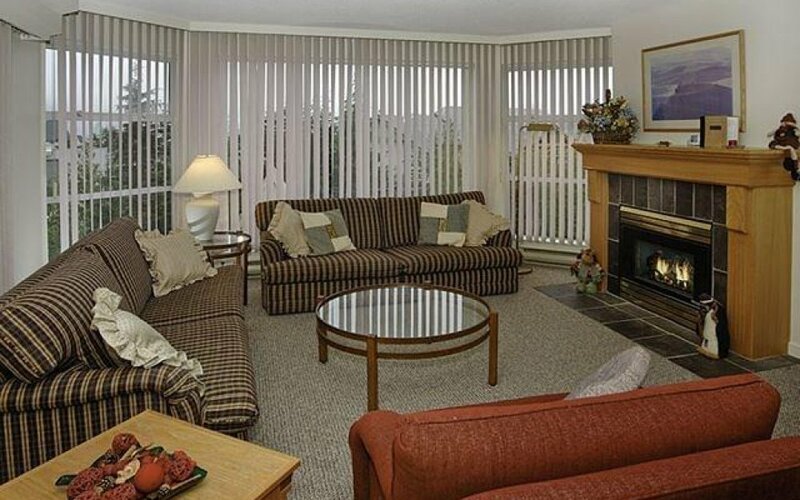 Woodrun Lodge is built completely with concrete making it a much quieter building throughout. 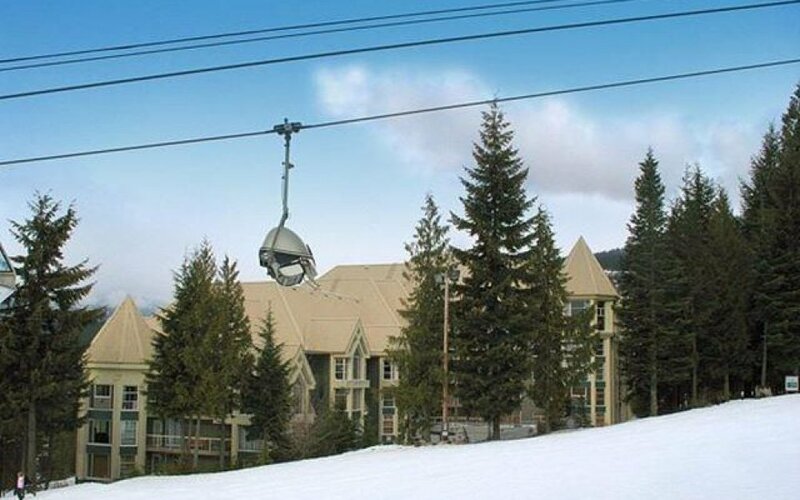 The Village shuttle bus stop is just a few minutes walk from the building. 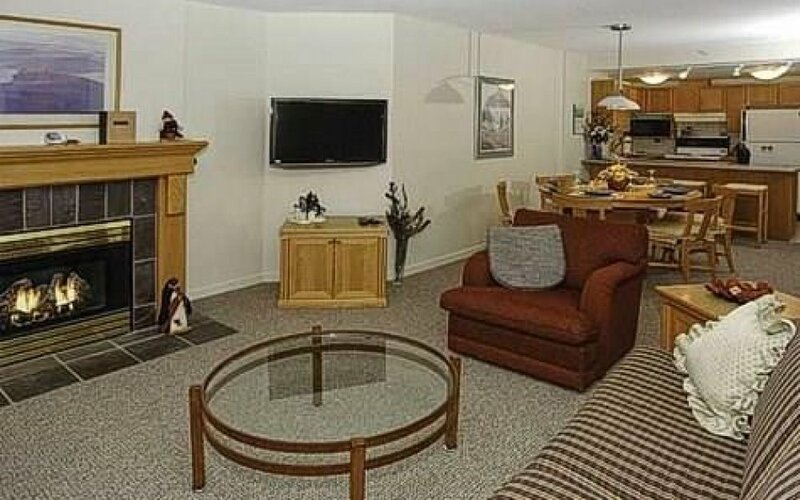 There is a central heating system, as well as the gas fire in the living room. 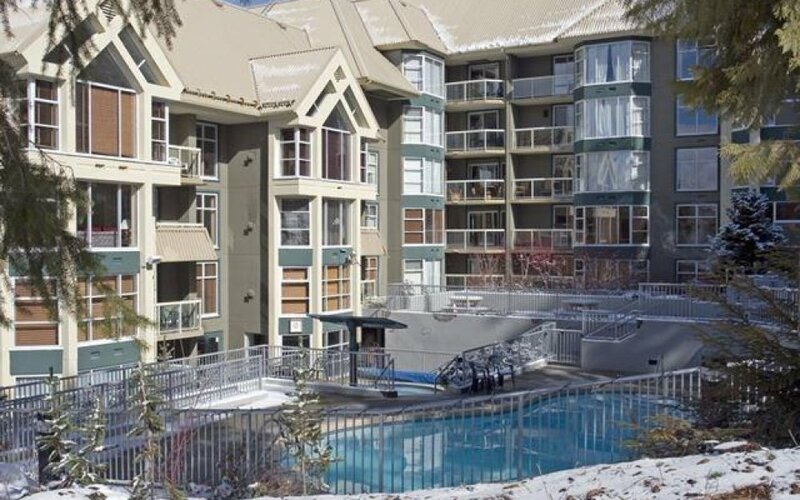 Balcony with mountain views, common hot tub and swimming pool, fitness room, BBQ area, yr. round reception, safe underground parking.